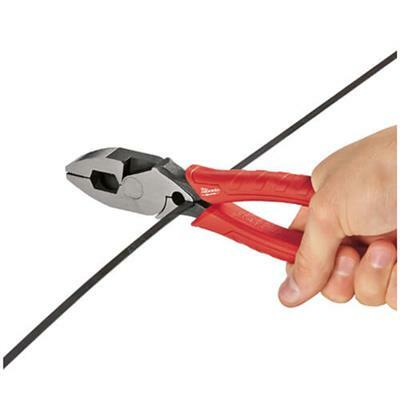 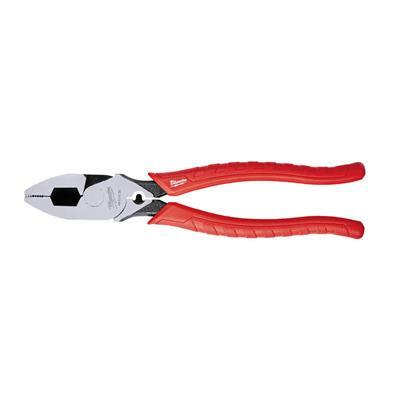 The Milwaukee® 9” High Leverage Lineman’s pliers features Iron Carbide Edge cutting edges for up to 2X More Cuts. 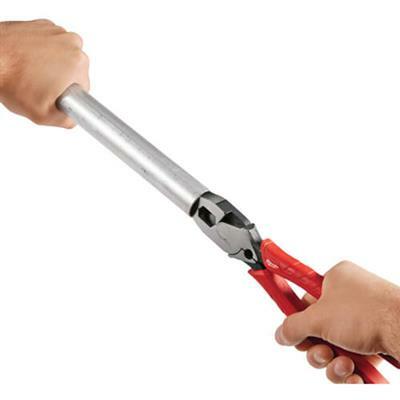 The pliers’ head features integrated reaming ridges (patent pending) for removing burrs from the inside of smooth pipe. 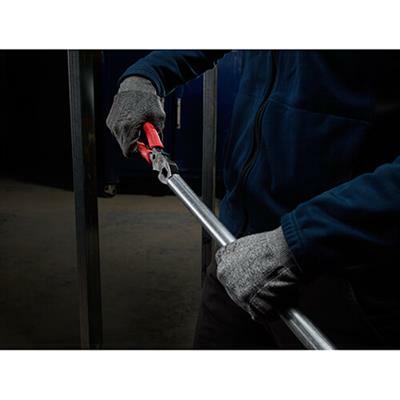 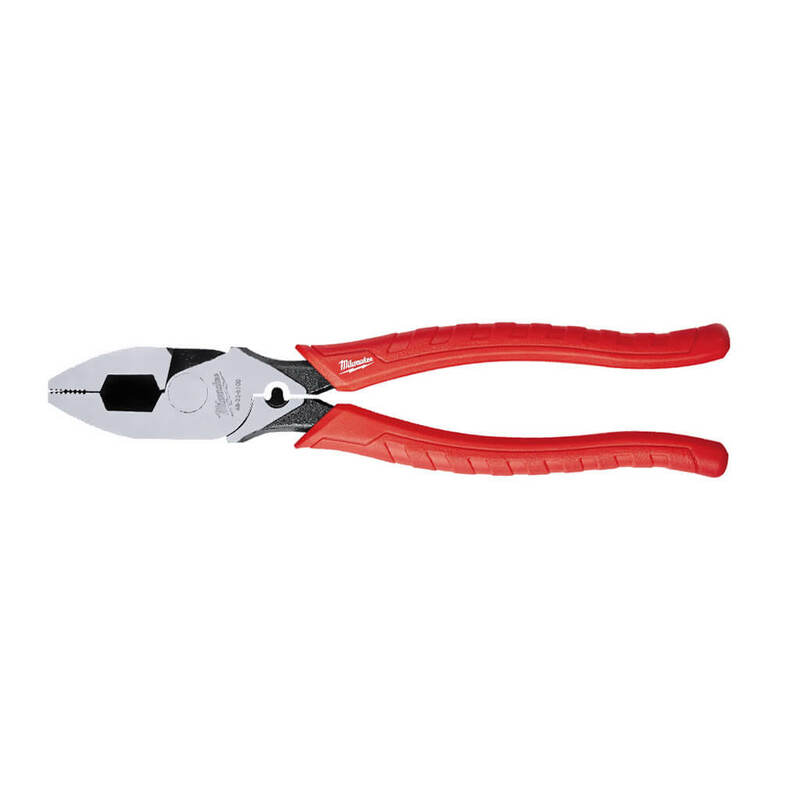 For added functionality, the Milwaukee® 9” High Leverage Lineman’s Pliers features an on-board crimper for insulated and non-insulated terminals as well as integrated fish tape puller. 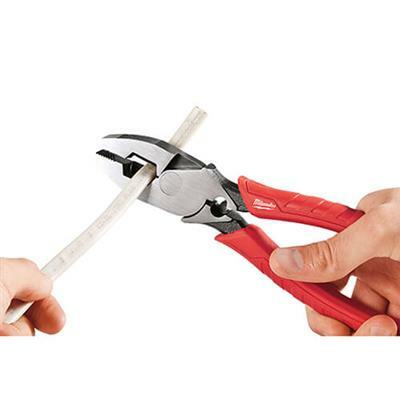 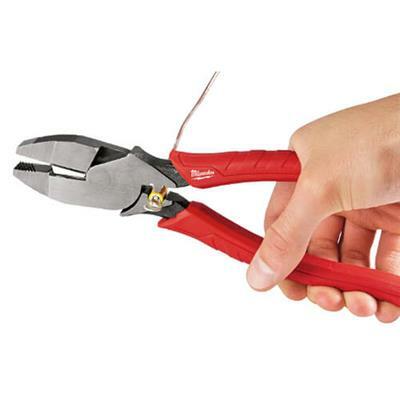 Milwaukee® pliers feature over-molded comfort grips, which will not peel under jobsite conditions.